American media conglomerate Viacom, Inc. is a media company home to television, cinema, online and mobile networks and brands in over 160 countries and territories, reaching approximately 700 million subscribers around the globe. Their leading brands include MTV, VH1, CMT, BET, Nickelodeon and its various channels, Comedy Central, Spike, and Paramount Channel. Viacom owns Paramount Pictures as well, which is a major producer and distributor for movies . Viacom got its start in 1971. Viacom acquired its various networks over the course of 30 years, purchasing various channels including MTV, Nickelodeon, and BET. In the 1990s they entered a merger with CBS . However, the two separated into two companies in 2005, now known as CBS Corporation and today’s Viacom Inc. The split was made to separate radio and television from the rest of the company . Today, Viacom continues to create new shows for their various networks and launch new ideas. Recently, Viacom has been concerned with attracting younger viewers from children’s ages to young adults aged 18-25. They are trying to stay relevant in the developing world of streaming content but still trying to pull in viewers for live shows. On Nickelodeon, Viacom is attempting to draw in new and old audiences alike with programming reminiscent of shows on in the 1990s. Viacom announced in August they would have an hour long special of the classic 90s Nickelodeon cartoon Rocko’s Modern Life . In October they announced there would be a special of Double Dare, a game show from the 1980s and 1990s . They later said they would be releasing Legends of the Hidden Temple: The Movie to come out based off of the popular 1990s Nickelodeon show . They are attempting to appeal to a younger generation who has never seen this content as well as nostalgic young adults. Viacom is also launching some of its networks on DirecTV Now, AT&T’s streaming service. They want to deliver more content to fans in more places and allow them to stream content at their own convenience . However, Viacom is also developing tactics to aid in the live viewing experience for consumers. Viacom Labs created what they called a “breakthrough television format” that they hope to launch in 2017 on MTV Music. They have created a TV format that pulls livestreams of fans in a real time feed during the scheduled television show . It creates an interactive and unique experience for fans and will help to motivate people to watch shows in real time rather than stream them days later. Within the last few months, Viacom has gone through some major changes in management. As of August 20th, Chief Executive Philippe Dauman resigned which ended the legal fight between members of the Viacom board and Redstone’s National Amusements Inc. This is a privately held company that holds 80% of the voting shares of Viacom and CBS Corp. Under the agreement, Dauman received about $72 million and was replaced by previous COO Thomas Dooley who served as interim CEO until the end of Viacom’s fiscal year . 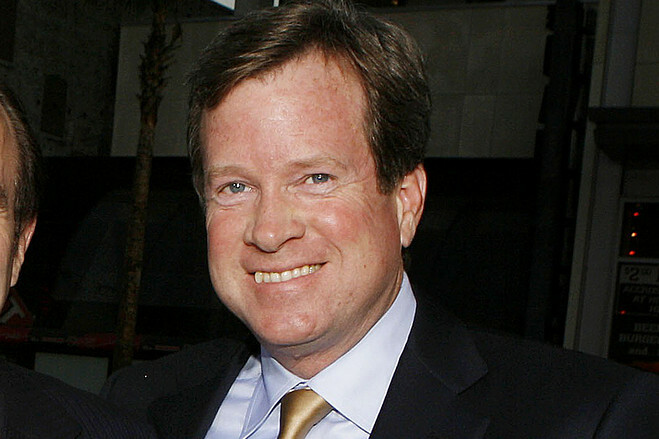 Recently, Viacom declared that Robert Bakish will be acting chief executive replacing Tom Dooley. Bakish, a 19-year company veteran who headed the company’s international media networks, has also been named President and CEO of a newly created group called Viacom Global Entertainment Group . The group will run Viacom’s most popular networks including MTV, Comedy Central, VH1, Spike and others . The first day of trading since the split between Viacom and CBS Corporation showed a 2.8 percent increase in the shares of CBS Corp. to $26.20, and a 1.1 percent increase in the shares of Viacom, to $41.59 . In the current year 2016, they averaged out their most recent 50-day span at $41.47 per share. As of November 2016, Viacom has a 6.1% market share and is among the top 5 competitors in the cable and entertainment industry . Due to the ongoing internal management battle, Viacom’s stock performance has gone down with -8.06% in the last 90 days, compared to the industry average of -0.22%. However, in comparison to CBS Corporation, Walt Disney Company, and Comcast Corporation, Viacom’s recent one day and five day stock performance, 3.58% and 1.4% respectively, has exceeded them all . This major media company has had declining performance over the last 11 years, however, it has never made negative profits and instead managed to stay afloat, but the drop in total revenue has been alarming. Over the last year their 52 Week High was $47.17 and their 52 Week Low was $38.61 . Their total revenue has capped off at 13.05 B which is not where they want to be, considering that their profit margin is 15.85% and the typical average for a media company is usually around 23% . In 2012, revenue increased about 16.7% because NBC Universal merged with Comcast Corporation, which provided Viacom with unforeseen and extra production materials, allowing mega growth through 2013 and the year-end stock price to cap off at $87.34 . The revenue has seen a sharp decrease over the last five years by dropping 3.74% and ending the year 2015 with a drop of 44.36% to a monetary outcome of $6.18B as their gross income. It was the lowest value over the defined period. That left them with a free financing cash flow of $2.17B, which was a 12.75% decrease from the previous year 2014. However, the little glimmer of hope that Viacom took from its bleak financials into the current year 2016 is that the net operating cash flow has only been seeing growth over the last five years, and capped at a 17.43% increase coming in . Therefore, this media conglomerate has cash to grow and operate its company through the many bumps in the reel. Despite turmoil within the company and stress from the possible CBS, Viacom continues to move forward by creating new content for their networks and trying to reach as large an audience as possible. Viacom, Inc. (VIAB) is an American media conglomerate with particular interests in cinema with Paramount Pictures, America’s oldest film studio; and cable television as the sixth largest cable ownership company globally, in order of revenue. Viacom houses media networks that reach approximately 700 million global subscribers with leading channels including MTV, VH1, BET, COMEDY CENTRAL and Nickelodeon. National Amusements, Inc. have a controlling interest of the media company. National Amusements is Viacom founder and billionaire Sumner Redstone’s holding company. This company holds a majority stake in both Viacom and its sister company, CBS Corp. Viacom was originally founded by media magna Sumner M. Redstone in 1971 and then reestablished in 2005 after splitting its original format into two publicly traded companies; Viacom and CBS Corporation. Sumner Redstone then became CEO of the newly defined Viacom, Inc. until February 2016. At the age of 92, Redstone resigned from his chairmanships at both CBS and Viacom after a court-ordered psychiatric examination. This court-ordered examination by a geriatric psychiatrist is just one noteworthy outcome that has come out of a continuous stream of legal battles within and around the famously fractious Redstone family. The specific inquiry into the 92 year old’s health came after the newly-dismissed Viacom CEO Philippe Dauman sued Redstone, claiming that his dismissal was proof that Sumner was under the control of his daughter, Shari Redstone. At the time there were many rumors that Sumner Redstone’s failing health had allowed his daughter to run his company for him. These rumors were further supported by his supposed successor being someone close to Shari. Dauman and the five other board members dismissed by Redstone this year have sued to prevent their ouster. Their strategy was to prove that Shari took advantage of her father’s mental incapacity in order to seize control of the billion dollar companies. Their ‘legal drama’ and public familial feuding has been highly publicized over the last few years presenting the company as volatile, unstable and, thus, detrimentally impacted their professional image. Acting CEO of Viacom Inc.; President and CEO of Viacom G.E.O. Former CEO and President of Viacom Inc. The development of content is certainly the main issue with Paramount Pictures. It is reported that since the departures of Marvel, DreamWorks Animation and DreamWorks SKG, the corporation has been floundering for lucrative content for development. Grey also commented on repairing Paramount’s image within the film industry. They are seen as ‘penny-pincher’ with a poor business affairs process; a destabilized management team within their production division; and an inability to successfully launch branded sequels (as seen this year with Star Trek Beyond and Teenage Mutant Ninja Turtles). “Recently, we’ve missed more than we should have.’ Grey said to Deadline magazine; but he went on to say that Paramount has ‘a very strong, diverse slate ahead.’ A true statement, according to critics; their roster includes a huge range of films from Oscar contenders like Scorsese’s Silence to the next chapter of the billion dollar franchise; Transformers: The Last Knight (Click here for news and spoilers). Over the past year, Viacom has flirted with the idea of re-merging with CBS, and as of November 2016 it seems inevitable. Shari Redstone has said in an interview that she “think[s] it makes sense at this point in time to explore whether it’s in the interest of both companies to merge again” (13). Viacom’s poor cable performance has put it at a weak position when it will eventually negotiate the merger with CBS. While it is uncertain who will lead the company, the most likely contender is Les Moonves, CBS’s current CEO (4). Viacom’s cable holdings have not seen nearly as much success in the past year as they have had in the past. As of November 20, 2016, there are no Viacom channels in the top 5 cable networks during Primetime. In fact, in the list of the 15 top channels on cable based on total day viewership, Viacom channels – Nickelodeon and Nick at Night – only appear twice (10). The two most notable absentees from this list are MTV and Comedy Central – two of Viacom’s major channels. Comedy Central has seen a drop in viewership mainly due to the end of two of its most popular shows – The Daily Show with Jon Stewart and The Colbert Report. After Jon Stewart’s departure, Comedy Central’s viewership declined a painful 37% (11); the channel has yet to see a comparable replacement. MTV has described the channel’s cable ratings plunge as a “transitional era” where it’s largely youthful demographic access the channel’s content primarily OTT through the MTV app. Its TV ratings have fell 29% between 2014 and 2015, yet MTV can still boast over 49 million Facebook likes, which is significantly higher than channels like Fox News that have higher TV ratings. While it may have digital success, MTV as a cable network will have to seriously innovate its content if it wants to stay relevant (12). Viacom is an American mass media company that specialises in entertainment content in over 160 countries across television, film, mobile and online platforms. Viacom is the parent company to many of the world’s most elite entertainment brands including MTV Networks, Nickelodeon, VH1, BET Networks, Comedy Central, SPIKE, TV Land, CMT, Paramount Pictures and many more . Reaching approximately 700 million global subscribers, Viacom’s media networks have become one of the largest media conglomerates in the world . Viacom is home to a wide variety of television networks and has successfully developed original entertainment content that has reached a diverse audience . MTV is best known for producing the MTV Video Music Awards, Nickelodeon is one of the most influential television channels in children’s entertainment and Comedy Central is America’s number one comedy channel. Viacom has produced many popular television shows including MTV’s Awkward and Teen Wolf, Comedy Central’s The Daily Show, Nickelodeon’s SpongeBob SquarePants and many more . Paramount Pictures Corporation is a film production and distribution studio that is also a subsidiary of Viacom. Paramount is the distributor for DreamWorks Animation, Marvel, MTV Films, Nickelodeon Movies, Paramount Pictures, Paramount Classics and Paramount Vantage . In 2014, Paramount grossed $953.6 million, becoming the sixth highest grossing film studio in the box office . Paramount has produced many major blockbusters films including “Titanic“, “Transformers“, “Forrest Gump“, “Shrek” and “Iron Man” . Viacom has remained well positioned financially this year. In the fourth quarter of 2014, Viacom’s revenue has increased 9% from $3.6 billion to $3.9 billion . Viacom’s Media Networks annual year-end revenue has rose significantly from $9.6 billion to 10.1 billion . However, Viacom’s film entertainment’s suffered a decrease in annual year-end revenue dropping from $4.2 billion to $3.7 billion . Viacom’s year-end operating income has rose to 5% to a record breaking $4.13 billion from $3.9 billion in 2013 . After announcing a deal on May 1st, Viacom has closed acquisition of British’s broadcaster Channel 5 for $725 million on September 10th . This deal was made to expand Viacom’s investment in its entertainment content produced in the UK. In addition, Nickelodeon will be partnering with Channel 5’s pre-school program, Milkshake. Viacom and Channel 5 will collaborate to produce a new animated series called “Nella the Knight“, their first co-production which is under Viacom’s wing . Viacom and Channel 5 will co-fund “Nella the Knight“, which will be produced in the UK. Channel 5 will also air episodes of SpongeBob SquarePants and Teenage Mutant Ninja Turtles . Besides that, MTV UK and Channel 5 are partnering to commission a new series called 10,000 BC. In 10,000 BC, 20 participants leave the comforts of their modern life and travel back to the Stone Age. This 10 episode series is set to premiere on Channel 5 in 2015 . Viacom announced a major programming deal with Sony to license live and on demand programming for at least 22 Viacom cable networks including Comedy Central, MTV, Nickelodeon, SPIKE, and VH1 for Sony’s cloud-based TV service . This agreement marks Viacom’s first deal to provide its networks for an Internet based live TV and Video On Demand service. Sony’s new cloud-based TV service will integrate live TV content with a dynamic experience people are accustomed to look for form their network. This new service will provide access to hundreds of hours of Viacom programming to over 75 million Internet-enabled Sony devices in the U.S .
“Teenage Mutant Ninja Turtles” is an action comedy film that made tremendous success in the box office this summer. The film was produced by highly acclaimed “Transformers” producer Michael Bay and directed by Jonathan Liebasman. “Teenage Mutant Ninja Turtles” was a recreation of the original comic series. On its opening weekend, this summer blockbuster locked in a staggering $65 million . Since its release, “Teenage Mutant Ninja Turtles” has made $191 million in the US and $286 million in the international market. This film surprisingly remained number 1 in the box office on its first two weeks of release .Unlike many films released this summer, this film managed to surpass its budget within 3 weeks of its release, proving to be a major success . “Interstellar” is a Sci-Fi thriller starring Matthew McConaughey and Anne Hathaway. The film is based on a team of explorers who travel to space on an adventure to search for a habitable planet that could potentially save the human race [17 . The film was director by Christopher Nolan. Unfortunately, “Interstellar” failed to reach its predicted $50 million on its opening weekend, and only made $47.5 million instead . Although, “Interstellar” has not done quite as well domestically by only making $138 million since its premiere, it has been a major success in the foreign market making a whopping $331 million, surpassing its $165 million budget. Since its opening weekend, the film has made over $468 million worldwide proving to be a global success . MTV announced a new scripted thriller series called “Eye Candy.” The new series is based on R.L Stine’s popular novel “Eye Candy.” The series is produced by Jason Blum and Catherine Hardwicke. “Eye Candy” revolves around tech genius, Lindy who is played by Victoria Justice . Lindy begins online dating and suspects one of her strange suitors to be a potential serial killer. Lindy then partners with a team of hackers to solve these mysterious murders on the streets of New York. “Eye Candy” is an 10-episode, hour-long thriller that is set to premiere on January 12, 2015 . The fifth instalment of the Mission Impossible franchise is hitting theatres next winter. The film is directed by Christopher McQuarrie and written by Drew Pearce. “Mission Impossible 5” is produced by Paramount and J.J Abrams’ Production Company, Bad Robot. In “Mission Impossible 5“, Tom Cruise will be returning to his role of Ethan Hunt. The previous film, “Mission Impossible: Ghost Protocol” set the record very high after grossing a staggering $695 million globally . Mission Impossible 5 is set to release on December 25th, 2015. The film’s trailer has not been released . Viacom’s network continues to expand, opening new channels to satisfy new markets. This year, Viacom renewed an existing distribution deal with Hulu, an online media streaming service. The contract allows Hulu to use Viacom’s existing repertoire of cable networks to substantiate Hulu’s own library. The renewal will also allow Hulu a wider range of material to choose from, including networks that were not previously available to the streaming service before, such as MTV, VH1, Comedy Central, and Nickelodeon. The deal will contribute largely to the “Hulu Kids” section of the website, reviving older series accompanied by a sense of nostalgia like “Ren & Stimpy” and “Hey Arnold!” which currently air on Viacom’s TeenNick channel. The deal also greatly amplifies the number of Viacom’s past reality shows that will be featured on Hulu. It is speculated that the deal is an attempt by Hulu to compete with Amazon Prime’s Instant Video Inventory. However, the deal barely rivals the existing subscription-streaming deal between Amazon and Viacom, which was the largest sum Amazon has paid for a streaming deal thus far. In 2007, Viacom filed a $1 billion lawsuit against YouTube, claiming that the website was perpetuating Copyright Infringement. The judge ruled in YouTube’s favor in 2010, and Viacom filed for an appeal. The suit litigated for a total of 6 years until in 2013, the judge ruled again that YouTube “did not have to police itself”, and that it was Viacom’s responsibility to find infringing videos and alert YouTube to their presence. In March of 2014, Viacom made the decision to cut their losses, reaching an undisclosed settlement in which no money was exchanged with Google, YouTube’s parent company. Since the settlement, the two companies have been in contact about “seizing opportunities”, with the allusion of possible collaborations and close interactions between them. In February of 2013, Cablevision filed an antitrust lawsuit against Viacom, alleging illegal channel tying during program negotiations; Cablevision claims that Viacom threatened a “10 figure penalty” if Cablevision did not agree to carry smaller suites in addition to must-have cable programming. Viacom counters that the “10 figure penalty” in question is the difference between standard rates and a negotiation between Viacom and Cablevision as the result of “good-faith negotiations” since the two have worked together in the past. The lawsuit was filed three months after a carriage deal between Cablevision and Viacom. Viacom moved to have the case dismissed, however the judge ruled that there was viable evidence on Cablevision’s behalf to review an antitrust claim. There is no trial date set. Viacom’s fiscal year came to a close on September 30th, 2014. The company demonstrated an impressive fiscal year. While Viacom’s total revenue showed a negligible change in comparison to the previous year, other factors were notable. Both the company’s Adjusted Operating Income and Adjusted Diluted Earnings Per Share reached all time highs, rising 5% and 15% respectively. The company’s Adjusted Net Earnings also increased by 3.8% from the previous year. Viacom, short for Video and Audio Communications, is a mass media company that produces content globally across television, movies, online and mobile platforms. Viacom’s media networks reach about 700 million global subscribers, making it one of the world’s largest media conglomerate . Viacom operates about 170 leading entertainment brands including MTV Networks, VH1, BET Networks, Comedy Central, CMT, SPIKE, Nickelodeon Networks, Paramount Pictures and more . Viacom has a large variety of networks that represent a diverse collection of programming. From Nickelodeon, the leading brand in children’s entertainment, to Comedy Central, the number one brand in comedic television, Viacom continues to produce original content that is relevant to all different audience members . Some of Viacom’s leading shows are Nickelodeon’s SpongeBob SquarePants, MTV’s Teen Wolf and Awkward, Comedy Central’s South Park and many more . Paramount Pictures Corporation is a production and distribution studio for film. It is a subsidiary of Viacom. Paramount distributes content from DreamWorks Animation, Paramount Pictures, Paramount Vantage, Paramount Classics, Marvel Studios, MTV Films and Nickelodeon Movies . Paramount is ranked as the fourth highest grossing film distributor . Some of Paramount’s notable films are, “Transformers”, “Indiana Jones”, “Star Trek”, “Titanic”, and “Forrest Gump” . Viacom is a publicly held. This year, Viacom did well financially with its media networks revenue, but did not do well financially in film entertainment. The media networks revenue had a $462 million increase to $9.7 billion by the end of 2013 . The film entertainment revenues had a $538 million decrease from the previous year to $4.3 billion by the end of 2013 . Viacom’s net earnings still increased 2% from 2012 to 2013, from $2.3 billion in 2012 to $2.4 billion in 2013 . After seven years of battling in court, Viacom and Google have settled the copyright infringement lawsuit, in which neither company exchanged money to the other. Viacom filed a $1 billion lawsuit in 2007 against YouTube, which is owned by Google, stating that there were billions of dollars in damages for copyright infringement by uploading unauthorized clips from Viacom programming. After years of arguing, Viacom and YouTube released a settlement statement saying, “This settlement reflects the growing collaborative dialogue between our two companies on important opportunities, and we look forward to working more closely together” . Viacom announced an exclusive partnership with the popular blogging website, Tumblr. The two companies together will offer co-branded campaigns and content for shows and events for Viacom’s networks through the 2014 Upfront Season. This partnership marks Viacom as the first television programmer to develop a marketing partnership with Tumblr. Viacom’s partnership with Tumblr creates a unique opportunity for Viacom to use this creative platform with its advertisers in order to reach a large audience because of its major social activity. On the consumer end, it allows users to view content in a fun and interactive way . The dark comedy, “The Wolf of Wall Street”, directed by Martin Scorsese and starring Leonardo DiCaprio, is based on the true story of Jordan Belfort’s life. The film takes you through the New York stockbroker’s journey from rags to riches, starting in penny stocks to running an extremely successful firm. This film has had major success worldwide. The high admiration has earned the film a Golden Globe and five Academy Award nominations . Surpassing all Christmas sales in theaters on its holiday release date , the film made $10 million on its opening day and over $18 million on its opening weekend . This film has accumulated grosses of $116.9 million domestically and $272.7 million in the foreign market . The recent release of the biblical inspired film, “Noah”, directed by Darren Aronofsky and starring Russell Crowe, is inspired by the biblical story of Noah’s Ark. Noah is chosen by God to take on a mission to rescue the innocent before an apocalyptic flood hits the world. This film ranked #1 at the box office on its opening weekend on March 28th . “Noah” brought in a diverse audience including men and women of all ages that were Christian, Catholic Latino and African American . “Noah” has faced a sizable decline with a 68% drop since its release . Predictions say that this number will increase during the weekend of Easter because of the faith based audience . “Noah” has made $93.3 million domestically and $197.4 million in the foreign market . Nickelodeon announced a new award show called Kids Choice Sports, hosted by former football player, Michael Strahan, set to debut this summer. Kids Choice Sports give viewers the opportunity to have a voice in the show by voting for their favorite teams, players and sports moments as well as selecting the stars to get slimed. In additions to the awards, the event will also have a musical performance, competitions against athletes and slimed filled sports stunts . Kids Choice Sports has the potential to bring in a whole new audience of parents and children who are interested in sports, as well as other viewers who want to be a part of the additional events of the awards show. TV Land announced that it is bringing back a new version of the 1940’s show, Candid Camera. Candid Camera is a show that captures the reactions of people in unusual situations using hidden cameras. Peter Funt, the son of the host and creator of the original show, will be co-producing Candid Camera. There are 10 new episodes that are set to air this summer . The fourth Transformers film called, “Transformers: Age of Extinction”, is hitting the theater this summer. This film was directed by Michael Bay and has notable actors staring in it such as Mark Wahlberg, Nicola Peltz, and Jack Reynor . This popular franchise has earned $2.6 billion in the global box office. The bar for this film was set very high after the last film, “Transformers: Dark of the Moon”, earning $1.1 billion globally. This film is set to release June 27th . “Teenage Mutant Ninja Turtles” is returning to the screen in a live action film this summer. Producer Michael Bay and director Jonathan Liesmasman, are working together to recreate the story that was originally based off of a comic series . Rob Moore, vice chairman of Paramount said, “Michael Bay is committed to making sure young audiences have a reason to flock back to your theaters” . This action comedy film is about four trained ninja turtles that work together to fight off evil. This summer blockbuster, starring Megan Fox, Noel Fisher, Will Arnet, Jeremy Howard and Alan Ritchso, is set to release August 8th . Sumner M. Redstone: Founder of Viacom and Executive Chairman of the Board of Directors. He is also the Executive Chairman of CBS. Thomas E. Dooley: Chief Operating Officer. Viacom, which stands for “Video & Audio Communications”, is a mass media company that encompasses cable television and cinema. It is the fourth-largest media conglomerate. National Amusements, Inc., owns Viacom as well as a stake in CBS Corporation. Viacom owns over 205 television stations many of which are well-known including Nickelodeon, MTV, BET, Spike, Vh1, Comedy Central, etc. It also acquired Paramount Pictures which has been successful in movie releases including Bad Grandpa. Viacom’s competitors include Time Warner, NBCUniversal, and Walt Disney, but still dominates in the cable television market. Since Viacom has been a company for a long time, many of its TV stations are familiar to audiences. This means that Viacom has to make a lot of content across different markets. MTV, which stands for Music Television, was bought in 1986 and still attract a younger generation and it is one of the most watched TV stations by the youth because it brings modern trends to the screen that teenagers tend to follow. Nickelodeon is for a younger crowd and BET, Spike, Comedy Central are for an older generation with more mature content. Nickelodeon’s Spongebob Squarepants is the most watched television show of this fall. MTV’s popular TV show Headbanger’s Ball in the 1980s-early 90s was a big hit that gave rise to a slew of big name artists in rock and heavy metal including bands such as Skid Row, Pantera, Black Sabbath, Slayer, Anthrax, Megadeth, Metallica, etc. In June of 1971, Viacom became a public company after completing a spin-off from CBS (Columbia Broadcasting System). In 1985, Viacom formed a joint venture with Warner Communications and Warner Amex Cable Communications and acquired 66 percent of MTV Networks. Viacom then merged with Paramount Communications for a deal that was about $10 billion. In 2000, CBS and Viacom merged in a deal for $40 billion and then purchased more assets. Paramount acquired Dreamworks as well and Viacom International Media Networks was created in 2011. Financials for the last quarter of 2013. Viacom has had a very successful fourth quarter of 2013. The quarterly revenues are up by 9% and adjusted net earnings by 18%. The media networks quarterly revenues increased by 7% as advertising revenues are up by 10% and operating income increased 11% to $1.04 Billion. Revenues are up by 11% and adjusted operating income grew 49% . These are big numbers for Viacom and are mainly due to increased viewership and ratings. Viacom has had many must-see moments on television during the year. For instance, the incident during the annual MTV Video Music Awards included the infamous moment where singer Miley Cyrus dances inappropriately with Robin Thicke . As preposterous as it sounds, this must-see moment garnered many viewers and it became a viral video as well. Additionally, many new television shows have been successful. Catfish the TV show, a show about long-distance online relationships, has been successful on MTV. The Daily show has been a popular show on Comedy Central where Jon Stewart satirizes the acts of the government and it garners many viewers. Redstone is always know for his catchphrase “content is king” meaning that people watch TV not for the TV station but to see great shows that they remember and want to watch more and that’s what makes Viacom successful. Comedy Central acquired @midnight with Chris Hardwick and it is doing very well. Viacom owns a number of media outlets, including Paramount Pictures, MTV Networks, Comedy Central, BET Networks, Nickelodeon Networks, Spike TV, CMT and VH1, as well as music production and online divisions. However, this profile focuses on the television holdings of the company. Viacom’s headquarters in New York are at 1515 Broadway. This semester Viacom has been maintaining strong ratings for its established shows with returning seasons and relying on healthy ratings for event specials and award shows that have been held throughout the past few months and those that are scheduled in the coming months. These specials span the networks owned by Viacom and have battled both cable and broadcast shows for the top spot in the 18-to-49 demographic during their time slots. Viacom has also managed to effectively use social media to get more press for their specials and shows. Miley Cyrus’ controversial performance at the VMAs. @Midnight with host Chris Hardwick has been a successful addition to Comedy Central’s late night line up. SpongeBob SquarePants has been the most watched kids show this fall. Another Viacom media property that has had a good fall is Nickelodeon. The station consistently led the total day viewership among cable networks including, for example the three consecutive weeks ending November 3 , November 10  and November 17 . Nickelodeon has also dominated cable networks among the 2-to-11 demographic. The network has been top in the kids demographic for six straight weeks . SpongeBob SquarePants has helped propel Nickelodeon to such heights as the number one program with kids 2-to-11 . Nickelodeon has also had nine straight months of year-over-year ratings gains. Nick Cannon Hosted the 2013 HALO Awards. Nickelodeon also had a special this weekend on Nick at Night: the TeenNick HALO Awards, which honored four teens for their community service and featured a number of celebrity guests. The show used social media to engage and connect with viewers by encouraging live tweeting and posts to Instagram with the hashtag #HALOawards . Nickelodeon hoped that this interactive experience would change the way that award shows would take place in the future. Another big upcoming event takes place on Viacom’s Country Music Television. CMT has done well this fall with music video ratings up from last year , but they’re hoping for a big boost from the upcoming CMT Artists of the Year special scheduled for primetime December 3. For more information on the event click here. CMT hopes to garner some solid ratings among certain psychographic groups especially the believer and maker psychographics. The final Viacom network that just received a big boost is BET, which had two major events: one on Tuesday, November 19 and the other on December 1. On then 19th The First Lady of the United States appeared on 106 & Park, which has been the top music variety show on cable for the past 15 quarters . Ratings for the special were not yet available as of noon on November 20th. On the 1st The Soul Train Awards hopes to duplicate the success seen by The BET Awards earlier this year. Viacom has used its many networks to ensure that profits will continue to increase through the 4th quarter of 2013 and into 2014. The company’s strategy of getting strong showings from returning programs and excellent ratings on its large specials is working. The channels of the Viacom Media Networks clearly reach the demographics they are targeting and make Viacom one of the leaders in cable television programming. Sumner M. Redstone: Founder and Chairman of the Board of Directors since 2006. He also serves as the Executive Chairman of CBS . Philippe Dauman: President and CEO since 2006 . Thomas E. Dooley: Chief Operating Officer since 2010. He previously served as the CFO . Robert Bakish: President and CEO of International Media Networks since 2011. He oversees all media networks outside of the United States . Brad Grey: CEO of Paramount Pictures since 2005. Grey oversees the entire branch of Paramount Pictures . In 1971, Viacom was formed by breaking off from CBS; it then merged with Warner Communications in 1983 . It bought MTV in 1986, and then merged with Paramount Communications in a nearly $10 billion agreement . The VIA stock became available to be bought and sold in the NYSE in 1999 . CBS, the company it came from, and Viacom merged in a nearly $40 billion merger in 2000 . In the next few years, it purchased BET, Noggin, Comedy Central, TNN, and more . CBS and Viacom then split again in 2006 . Also in 2006, Paramount acquired Dreamworks LLC, and MTV then partnered with Warner Music group . Most recently, in 2011, Viacom International Media Networks was created . Viacom has many diverse assets, and therefore produces a lot of varied programming in different markets. It owns 205 television channels, spanning over 169 territories and in nearly 40 different languages . It also owns Paramount Pictures, a big player in the film industry, and has released films of all types, such as The Adventures of Tintin and Paranormal Activity, that reach varied demographics. In the cable television market, Viacom has many different assets. These networks are very different and, again, reach many different audiences. Some of their major assets include MTV and Nickelodeon, which reach a younger audience, Comedy Central, Spike, and BET, which reach an adult audience, and TV Land, which reaches an older audience. Each network plays very different programming. VH1 and MTV play both shows about popular music and reality shows, with series such as Buckwild on MTV and Top 20 Video Countdown on VH1. Comedies of all different types are played on Comedy Central, such as The Colbert Report, and TV Land offers a lot of reruns of old shows and some original programming. Networks such as CMT (Country Music Television) and BET (Black Entertainment Television) also reach very specific demographics. Nickelodeon is the #1 cable network for seventeen years, showing the success of their networks . Viacom has a lot of competitors, some of which include NBCUniversal, Time Warner, and Walt Disney . Still, it is a leader in the cable television market . During the first quarter of 2013, Viacom had a revenue of $3.314 billion, which includes $2.394 billion from media networks and $975 million from films . This number is down 16% from last year’s first quarter . However, media networks hardly decreased, down only 2%; this decrease is mainly due to filmed entertainment, which is down nearly 40% . MTV is the network with the highest revenue, at around $548 million, with Nickelodeon following at around $357 million . The Viacom stock, sold as VIAB on NASDAQ, is currently priced at $65.49, hitting a high . This is nearly $20 higher than CBS, around $7 higher than the Walt Disney Company, and nearly $25 higher than Comcast, all of which are Viacom’s competitors . The VIAB stock increased greatly this year, raising from $46.75 a year ago to $65.49 today . Viacom also sells class A stock, VIA, at $66; with this, stockholders have voting rights. Viacom has been in the news recently due to two major cases. First of all, Cablevision, a big cable TV service provider, is suing Viacom for bundling its channels and charging more for single channels . This has, however, been its practice for a very long time. Also, last year, the case starting in 2007, in which Viacom sued Youtube, the popular website where users can upload their own videos, saying that some of its content infringed on Viacom”s copyright, was revived . This case is still going on today. Viacom also, however, has had a lot of positive things going on recently. VH1’s ratings in adult viewership raised 33% in 2012 . It also has a lot of new shows airing this season, including Best Week Ever and The Jenny McCarthy Show, and new episodes of older shows, such as the very successful Mob Wives. Also, the 26th Annual Kids’ Choice Awards, airing on March 23rd, drew an audience of nearly 6 million viewers with just the premiere, boosting Nickelodeon’s ratings greatly . The 2013 MTV Movie Awards are set to air April 13th, which should also boost MTV’s ratings. 2013 Movie Awards: VOTE NOW FOR MOVIE OF THE YEAR! Digitally, Viacom is working on a lot of new technology in order to better the viewer experience. The new Star Trek into Darkness app allowed app users to get tickets to an early showing of the film . Also, Spike TV, a cable channel, has created a new app for using while viewing Bellator MMA, a mixed martial arts fighting tournament. The app allows veiwers to interact with the show in a way not used with other second screen apps, using results from judging on the app in the live show . 1. Viacom Logo, from Viacom, Inc.